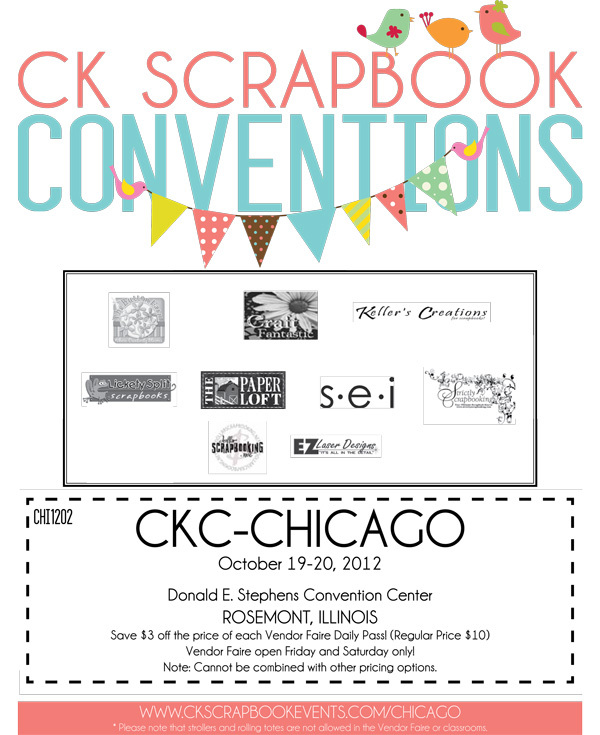 Jenny Ban Creates: CKC - Chicago or Bust! 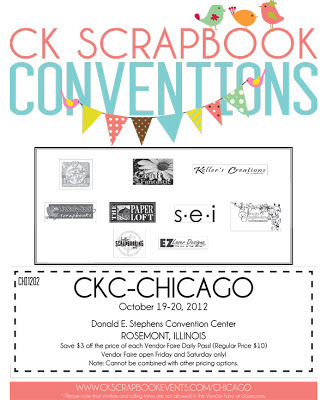 CKC - Chicago or Bust! A Muse Studio product! No waiting for an order to ship--come and get it! Print the coupon below and save $3 on admission. Also, don't forget--go online (or come to my booth at CKC) and get your FREE "Fight Like a Girl" stamp set before they are gone! $3 shipping/handling gets you a FREE stamp set PLUS a 20% off coupon code on a future online order. Additionally, if you sign up for A Muse Studio's newsletter you will be entered to win a $2000 value grand prize of A Muse Studio products. Seriously, can you pass up a chance to win $2000 in stamping/scrapping products? I don't think so, so head over here to get these goodies!